How to be a G.I.R.L. this Halloween! Halloween is just a few weeks away and we have some awesome G.I.R.L. (Go-getter, Innovator, Risk-taker, Leader)TM inspired suggestions for all our Girl Scouts! These costumes range in complexity, but you can always think outside the box to celebrate these outstanding women. Check out our suggestions and post your own below! We’ve designated how difficult we think each costume would be (if you were to DIY it) with these symbols – ❧ = easy, ❧❧❧❧❧ = difficult. If you are already a soccer player or a ballerina, some of these may be easier for you! Alicia Alonso – Cuban ballerina highly regarded for her convincing portrayals of leading roles in the great works of classical and Romantic ballet. Hair: styled up – bonus if you can decorate it! Mia Hamm – is a retired professional soccer player, two-time Olympic gold medalist, and two-time FIFA Women’s World Cup champion. She is hailed as a soccer icon. Jane Goodall – British primatologist, ethologist, anthropologist, and UN Messenger of Peace. Considered to be the world’s foremost expert on chimpanzees, she is the founder of the Jane Goodall Institute. Notebook and pen – you’re taking notes on your observations! Katherine Johnson – is an African-American mathematician who made contributions to the United States’ aeronautics and space programs with the early application of digital electronic computers at NASA. She is one of the main subjects of the movie Hidden Figures. 1950s inspired dress (you can usually find something in a thrift store. Some 1980s cotton dresses, sans the shoulder pads, can work! Just look for inspiration images). You can also use a white button-up shirt and patterned skirt. Notepad, calculator and pen/chalk – you have calculations to do! Cleopatra – One of Egypt’s last pharaohs, Cleopatra was a fierce queen who was one of the most powerful women in history. She commanded armies at 21, spoke several languages and was highly educated. Crown with snake or Egyptian crown – whatever you can find! Malala Yousafzai – This education activist is the youngest person to receive the Nobel Peace Prize. After being shot by the Taliban, Malala survived and has become a global advocate for education for girls. A long shift dress and leggings. If you have access to traditional dresses like Malala wears, there are lots of options! Bonus: a copy of I am Malala and a fake a Nobel Peace Prize to wear around your neck. Maya Angelou – was an American poet, memoirist, and civil rights activist. 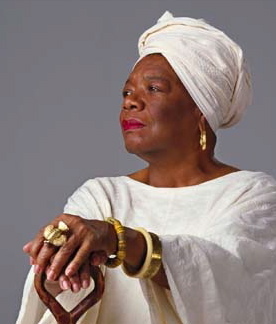 Angelou is best known for her series of seven autobiographies, which focus on her childhood and early adult experiences, the most famous of which is I Know Why the Caged Bird Sings. A very bright headscarf for your hair (in a head wrap style). Get inspired here! Large pearl necklace & earrings. Bonus: a copy of I Know Why the Caged Bird Sings & a fake Presidential Medal of Freedom! Sonya Sotomayor – is a Supreme Court Justice of the United States, serving since August 2009. She is the first Justice of Hispanic heritage, the first Latina and its third female justice. Hair: curled and down (if you have a shorter haircut). Juliette Gordon Low – The founder of Girl Scouts, Juliette Gordon Low left a legacy that has changed the lives of millions of women. This ultimate G.I.R.L was pretty spectacular – check out our past blog on her! A beige or dark dress with buttons and a collar with a brown belt around the waist. Hair: Style under a Fedora style, brown hat. Decorate it with the Girl Scout trefoil in the center using black felt! Bonus: Get an old book you can mark up and write “Girl Scouts” across the front to look like you’re on official Girl Scout business. Are you dressing up as another awesome G.I.R.L.? Tell us all about your creative idea below in the comments.